A recent study determined that the total lifetime healthcare costs of obese individuals and smokers are less than those of nonsmokers and people of healthy weight. Why? The healthier individuals lived longer, eventually incurring more total medical expenses. The study concluded that from a purely economic standpoint, battling the obesity epidemic in America isn’t worthwhile. While the point wasn’t to promote obesity (the authors pointed out that there is intrinsic value in human life and that the healthier people may have contributed enough in productivity to undercut their medical expenses), the study points to the high level of confusion, controversy, and impracticality surrounding issues of obesity and health in the media. Data from the National Health and Nutrition Examination Survey (NHANES) shows that rates of obesity among both children and adults have more than doubled in the past three decades. According to the Centers for Disease Control (CDC), an adult is considered obese if he or she has a body mass index (BMI) greater than 30. BMI is calculated according to the following formula: weight in lbs/height in inches2 x 703. Although BMI is not a direct measure of body fat percentage, it correlates closely in most people (athletes are an example of an exception). Child and teen BMI is calculated differently. As early as October 1999, researchers from the CDC published an article on the “obesity epidemic” in the Journal of the American Medical Association ( JAMA). In the article, the CDC reported a dramatic increase in the number of obese individuals during the 1990s – an increase that spanned all regions and demographics. Obesity has been found to increase the risk of many chronic, non-communicable health problems, including type-2 diabetes, hypertension, cardiovascular disease, stroke, and some types of cancer. Unfortunately, children are not exempt. In fact, not only are more children overweight, but approximately two-thirds of overweight 5 to 10-year-olds already have at least one heart disease risk factor. Perhaps the biggest problem in trying to address the obesity epidemic is that the problem doesn’t have just one clear-cut cause. Individuals may be overweight because of poor eating habits, lack of exercise, genetics, eating disorders, medical conditions, or some combination of factors. 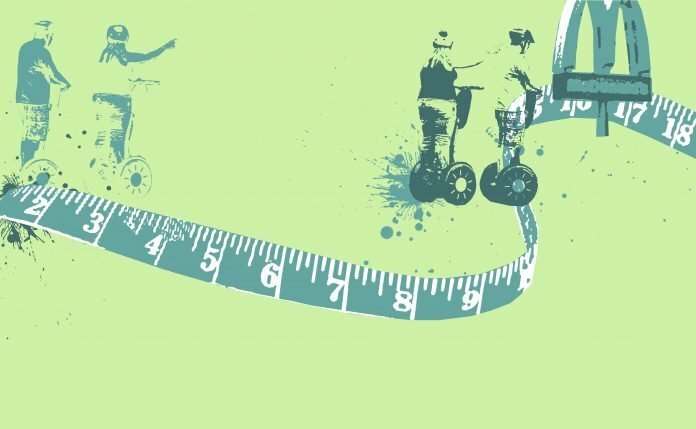 Regardless of all the reasons individual people may be overweight, the rapid increase in obesity as a population trend suggests that there are some systemic issues at work. If genetics alone can’t explain the widespread and rapid increase in obesity, perhaps cultural and economic trends can. According to the CDC, a comparison of surveys conducted in the late 70s with those from the mid-90s shows an increase in average daily calorie consumption by both men and women. The survey found that men increased their average caloric intake by just over 200 calories a day while women increased by slightly more than 100. At the same time that calorie consumption has risen, physical activity is reported to be down. For all the benefits technology has brought to society, already inactive office jobs have become even more sedentary. Long commutes and a social trend toward packed schedules have left many individuals feeling a time crunch. Exercise and cooking at home often seem to be the easiest things to cut. Anderson’s colleague, Dr. Jeff Sullivan, chair of PLNU’s kinesiology department, pointed out that in addition to self-discipline, motivation may be an issue. For many people, he said, the motivation for weight loss is more closely related to cultural perceptions of appearance than health. This attitude might make people more prone to looking for quick fixes rather than a long-term commitment to healthy habits like exercising regularly. In addition to the dietary changes and lack of exercise prevalent in the U.S., PLNU’s Margaret Wing-Peterson, M.S., R.D., adjunct professor of family and consumer sciences, said a similar cultural shift is happening outside America. According to the World Health Organization (WHO), approximately 60 percent of the world’s population fails to meet recommended levels of physical activity, thereby missing the benefits of an active lifestyle. The WHO estimates that by 2015, more than 700 million adults will be obese. The organization’s Global Database on Body Mass Index points out that, surprisingly, obesity now often exists alongside undernutrition in developing countries. In addition to cultural and lifestyle shifts, there may also be economic factors at work. Anderson and Sullivan say that the poverty-obesity connection may be related to issues of health and nutrition education – something both advocate expanding for all population groups. Meanwhile, Dr. Kay Wilder, chair of the Department of Family and Consumer Sciences at PLNU, pointed out that unhealthy habits among low-income individuals both in America and worldwide can be a practical matter. Healthier food options may not be as affordable or as readily available in some areas. “For many people, it’s an issue of access, not willpower,” she said. In some low-income areas, supermarkets are far and few between, leaving people to shop primarily at corner markets and convenience stores. These stores offer mostly processed food items and few fresh fruits and vegetables. Fast food restaurants, often prolific in lower income neighborhoods, are no better an option – they also offer inexpensive but mostly unhealthy food choices. For people on fixed incomes, the bottom line may trump nutritional quality in importance. And, unfortunately, fat and sugar-laden foods are often less expensive. Choosing costlier fruits and vegetables might mean running out of money, and thus meals, before the month is up. Unfortunately, food prices are expected to rise rather dramatically over the next year because of higher fuel costs, bad weather, and the increasingly controversial use of corn crops to make ethanol. Some health experts worry that the imminent food crisis will lead to greater rates of obesity as more people lose consistent access to higher-priced, healthier food items, including fruits, vegetables, lean meat, and fish. Also related to economics and development is the fact that neighborhoods are not always constructed in ways that make walking and biking safe alternative means of transportation, even for short journeys. In addition, urbanization in developing countries has made children’s unsupervised play less safe, much as it has in the United States. Safety concerns may keep both adults and children from walking or biking in their neighborhoods. The combination of these and other factors may seem daunting, but recognizing some of the contributing factors can help lead to ideas for how to address the systemic causes of rising obesity rates. The CDC, WHO, and PLNU’s faculty all assert that it will take community-wide efforts to make a significant difference in confronting the obesity epidemic and its resulting health effects. While some individuals may be able to improve their own diet and exercise choices, the cultural and economic issues contributing to the rise in obesity must be addressed more broadly. A story reported by CBS.com in March provides an example of a community-based response to hypertension, the risk of which rises with obesity. The story is about a Baltimore barbershop that recently began offering blood pressure testing as part of its regular services. Trained by doctors at the University of Maryland School of Medicine, the barbers are seeking to help their primarily African American male clients (a group at high hypertension risk) recognize and seek treatment for high blood pressure and underlying weight problems. He added specific ideas, such as providing family- friendly activities that promote healthy habits, offering childcare services that allow parents time to exercise, and providing activities that combine exercise with socializing. The church-health vision has been embraced by Mid-City Church of the Nazarene in San Diego, a multi-congregational church, whose English- speaking group is pastored by PLNU theology professor Dr. John Wright. Mid-City has partnered with PLNU’s Health Promotion Center, located at the church, to provide healthcare for the uninsured. Health screenings for diabetes and hypertension and healthy lifestyle education are also provided free of charge. “Businesses and bosses can also make it easier for people to exercise on their lunch breaks,” Anderson added. 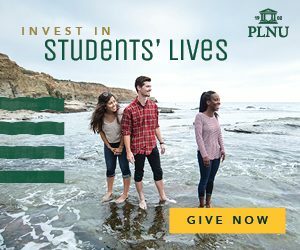 In the kinesiology department’s efforts to provide a “fitness culture” on PLNU’s campus, for example, they have reserved time in the weight room for faculty and staff during the lunch hour, made locker rooms available, and offered workout classes for faculty and staff led by kinesiology professor Ann Davis. Finally, government can play a role in helping consumers make healthier choices. For example, according to Yale University’s Rudd Center for Food Policy and Obesity, some communities are adopting menu labeling laws, which require restaurants to provide nutrition information on their menus. Boston, Baltimore, and Stamford, Conn., have passed laws banning trans fats from restaurants as well. Also under consideration in some parts of the country are laws that would limit or prohibit the marketing of unhealthy foods to children. For those struggling with obesity, Wilder, Wing-Peterson, and their colleague Cindy Swann, M.S., R.D., director of PLNU’s dietetics program, all emphasize the importance of seeking help from a qualified medical professional. The faculty members suggest seeing a doctor or a registered dietitian (R.D.). Point Loma’s dietetics program prepares students for accredited internships that are required before a prospective R.D. can take the registered dietitian exam. The family and consumer sciences faculty are, therefore, well aware of the difference between R.D.s and those with less training. “It’s important to distinguish between an R.D. and a ‘nutritionist,’ which is a term that is not well-regulated,” said Swann. The American Dietetic Association (ADA) recently made a similar point when its president, Connie Diekman, was able to obtain membership in the American Association of Nutritional Consultants for her dog, Eddie. A community problem deserves a community-wide response.